With a hardwood floor, the preparation and the layout process of the installation are going to require your absolute focus, professional skills and dedication. 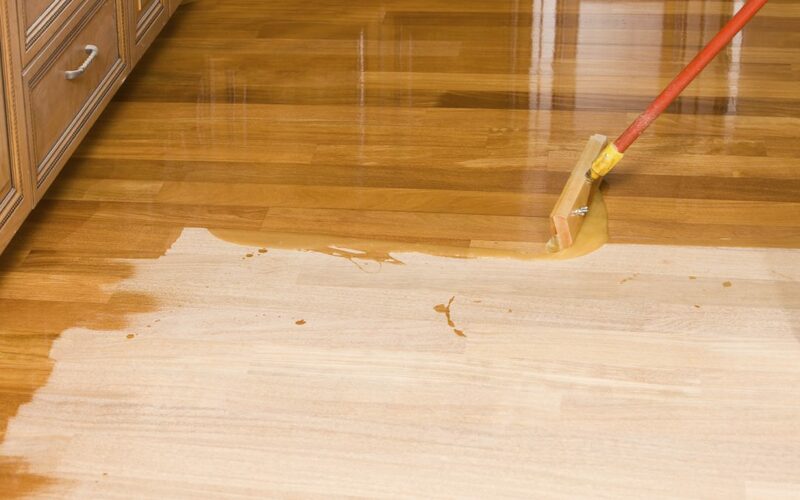 It’s very important to get them right so that you can enjoy the long-term beauty and benefits of your hardwood floor. We’re going to show you some of the things you need to do to ensure that your floor boards are laid out properly. When laying out your floor boards, make sure to do so in a staggered formation. Not only can you do this with different lengths of wood, but you can also use different woods cuts as well. This way, you can achieve a variation in wood color and grains. Start out by laying the first board with its tongue facing away from the wall. Now, you can use 1cm spacers between the board and the wall to dry-fit the first board, Carry on and nail it into the subfloor, using a 50cm nail about 7cm from the end and for every 300 com In the grooved edge. Keep on fitting the rest of the first row as you did previously. Now, once you have reached the second row, you will need to firmly fit the tongue and groove with a tapping block. If you are laying solid floor, fixed to a timber substrate, then you will then need to blind-nail through the tongue, 7cm to 10cm from the end and each 30cm across the board. Finally, you need to finish up your floor. You may find it difficult to nail in the floor boards in the last row, so we advise that you use a crowbar to get them settled in. It’s also fine to stick smaller pieces with glue in tight corners. After that, you can trim any exposed underlay, then re-attach your moulds, skirting boards, transition strips and doors. Cover nail holes with wood filler, sand your floor, varnish it and let it dry.